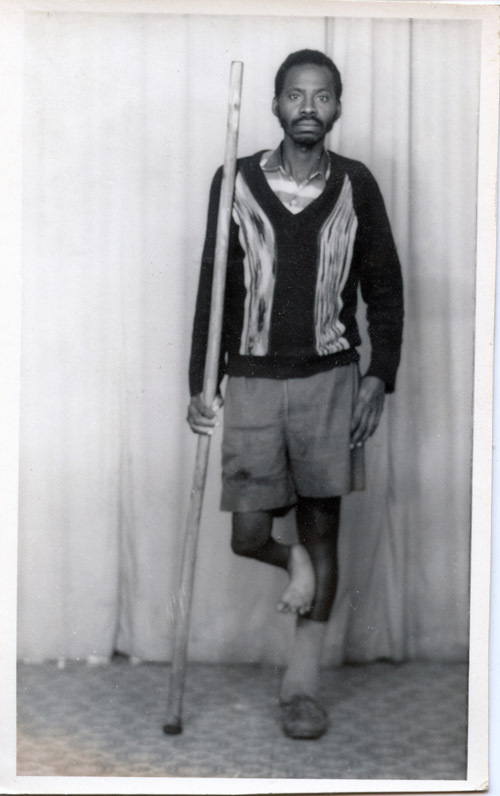 My research project on the visual representation of disability among Nairobi’s middle class is set up as an aesthetic-visual studies reflection of photos that I will collect during two research trips to Nairobi. My interdisciplinary approach between Visual Culture Studies and Disability Studies enables me to develop a new aesthetic cast on the discourse of disability in Kenya. The discussion of visual representations of disability has been a scientific niche so far. Only few authors refer their studies to photos and pictures. If they appear at all, they usually illustrate the written text and remain on the side of reflection. In contrast, I wish to empower the photos and move them from the edges to the center of my theoretical reflection. Thus, I follow Tobin Siebers, who created the knots and transitions between disability and art history; see his works Disability Aesthetics (2010), „Zerbrochene Schönheit – Essays über Kunst, Ästhetik und Behinderung” (2009), and Disability aesthetics and the body beautiful: Signposts in the history of art (2008). He uses “bildwissenschaftliche” concepts like Merleau-Pontys phenomenology of reception (1966). His “disability aesthetics” are groundbreaking within disability studies and will thus play a major part in my work as well. I follow the social model of disability which states that no person is disabled as such, but is being disabled by his social and built environment. My work will study the idea of the perfect, the imperfect and the fragmented body and body imaginaries. I will apply semiotic approaches, codification, deconstruction and “Auflandung” just as a reflection of ‘the aesthetic‘. Possible photographic methods like “Zerstückelung, Dekonstruktion und Detaillierung“ will be analyzed to understand the representations of disability among Nairobi’s middle class. In “Practices of Looking – An Introduction of visual culture“ (2009), Sturken tracks the relations between picture, context, understanding and analysis. She builds on the semiotic theory of Roland Barthes. Barthes, in turn, draws from the semiotic studies of Ferdinand de Saussure. Images are constructions and constructivists at the same time. Stuart Hall stresses, though, that things alone have no meaning, but are only assigned meaning by people. This means that things and people can’t be regarded separately. But how, then, shall we understand Aby Warburgs “Pathosformeln”, that praise the autonomy and coherence of photography? It is exactly this discursive arena that my analysis of visual representation of disability in Nairobi will be played out in. It is here that I will describe and analyze the meaning, the discourse and the instance of disability in Nairobi. My research is inspired and directed by the following questions: Which forms of visual representations of disability are common and practiced among Nairobi’s middle class? How are the photos related regarding content, form and style? Where do these representations appear? Is disability a concept that can be visually represented? Do public representations differ from private ones? Is ‘disability = #inspirationporn‘ as true for Nairobi’s middle class as it is for the European middle classes? During my research, I will collect photos and images that will then be structured, categorized and analyzed. I will consciously limit my focus on photography: post cards, photo albums, mobile phone photos, facebook pictures, photography in advertisements, campaigns and exhibitions. The question of representation and the paradox of photography (absence/presence, the process of photography vs. the finished product) are hard to be analyzed only through the product. That is why I am also going to work with a Kenyan photographer on this project. I wish to document his meetings with the models and discuss the resulting pictures with him or her. The basis of my work shall be the respect for the objects of study and my informants^. 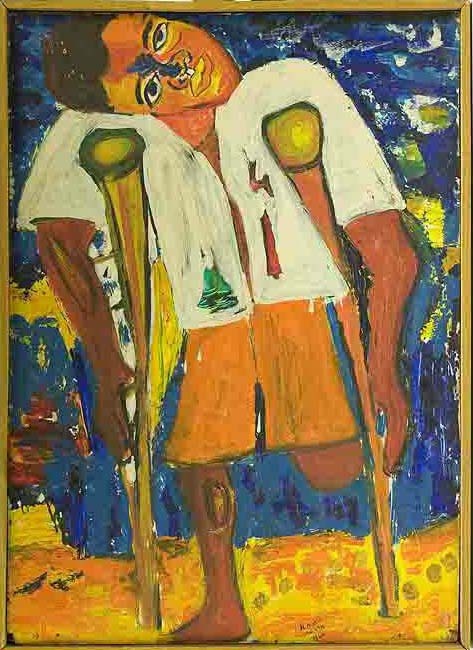 My aim is to produce a valuable contribution to aesthetic-visual culture studies analysis as well as to cast a new light on the discourse of disability in Kenya by adding new shades of understanding to the already existing social approaches.